Wait... you the reader... where did you go!? 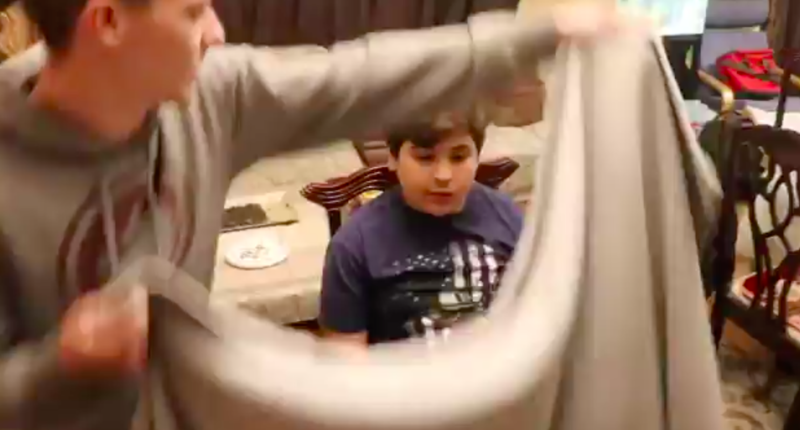 All you need is a chair, a sheet, a camera, and someone who could be convinced that invisibility is a real thing and you have the new cruel — but hilarious — challenge that the internet can’t wait to use to trick their youngest brothers and sisters to convince them of one impossible thing… that they are now invisible. The trick relies on a mark sitting in a chair, being covered with a sheet and when the sheet is thrown off, having the audience pretend that the person in question is completely unseen. It’s either a magic trick or the funnest form of gaslighting, but it’s shockingly effective. In all of these videos an audience screams in fear as if the person is completely gone until their beloved family member believes it, with fake photos taken beforehand to really help convince the beautiful soul who trust you that they will never be seen again. 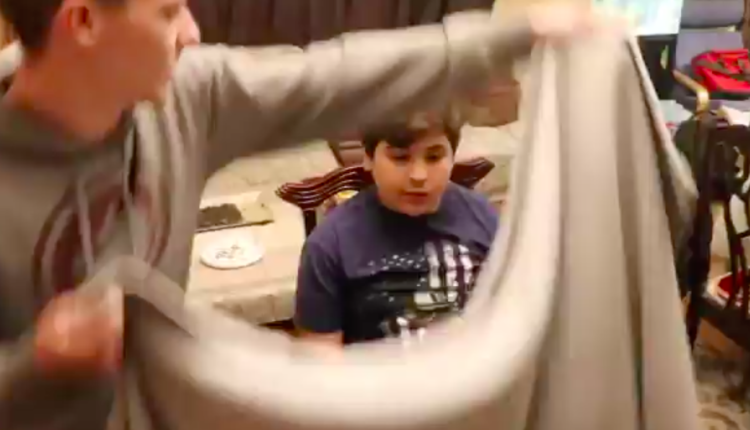 Even YouTuber David Dobrik got in on the phone when he turned his little brother invisible, to the delight of his family. Boy, it’s a shocker how many of these end with the person breaking down in tears, right? Probably not a great thing. They don’t seem to hold a grudge though. I don’t know, I only have a two minute clip to go off of for most of these. The trick is originally from Justin Willman’s very entertaining Netflix show, “Magic For Humans”, where the magician, with an audience of volunteers he’s allegedly found on Craigslist trick two strangers into believing they’re completely invisible. In the clip you’ll see the playbook that’s made the challenge such an effective thing — from the photo taken beforehand to trying to convince the person in question that invisibility is a real thing. It’s not something you have to do when the prank is played on a kid by his family I guess, but watching people gasp in shock as Willman makes the first man disappear is exciting, and impressive. Forget the prank, how did he make the first guy disappear!? It’s also fun just how different the two reactions of the marks are. One person is absolutely delighted, and one person is scared half to death. I guess I don’t know how I would react if I turned invisible. Probably badly. we took a picture of me sitting down alone on the bed before we scared him, and he thought he really disappeared ????? Willman himself has been delighted by the attention the clip has received, dubbing it the #MagicForHumansChallenge. You should watch his show on Netflix. It really is incredibly fun. What do you think of the Magic For Humans Challenge/ Invisibility Challenge? Is it sort of cruel or all good fun? Let us know in the comments or on Twitter at @WhatsTrending.